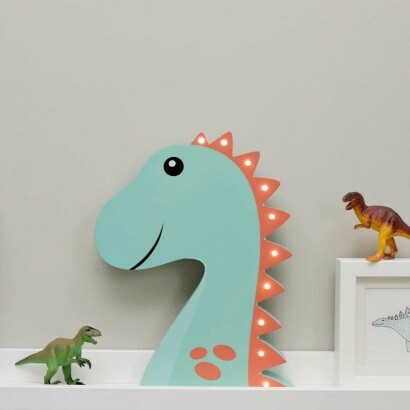 Make the dark a friendlier place with an adorable wooden dino decoration lit with warm white LEDs. Crafted from MDF and painted vibrant turquoise with an orange spine, each spine it lit with a warm white LED casting delicate fairy lighting into your child's room. 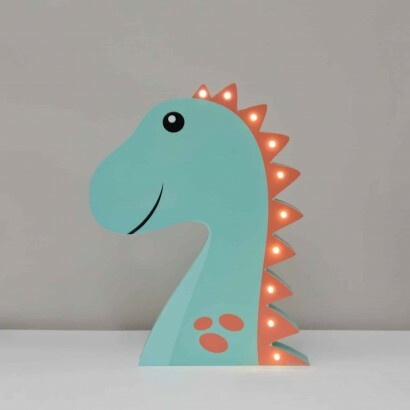 Free standing and wall mountable, this cute dinosaur decoration is battery operated and so can be placed anywhere offering the comfort or soft fairy lighting at night.